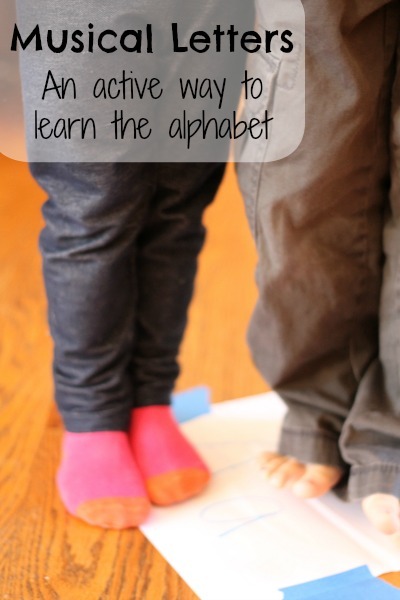 Musical letters is a fun and easy way for preschoolers to learn or review letters while getting active. You only need a few simple materials and some room to move. 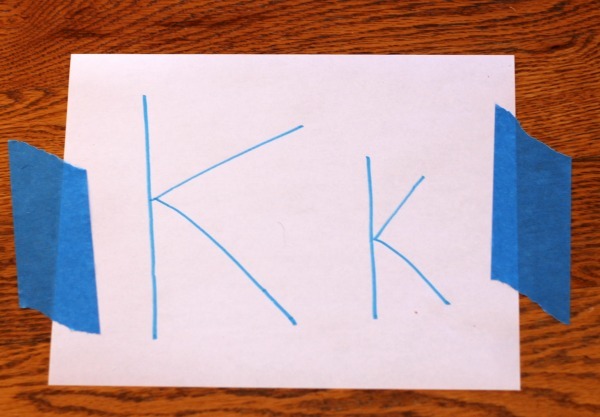 I'm trying to do at least one letter activity per day with my preschoolers, but I have to think of new ones all the time or they get bored and don't want to participate. 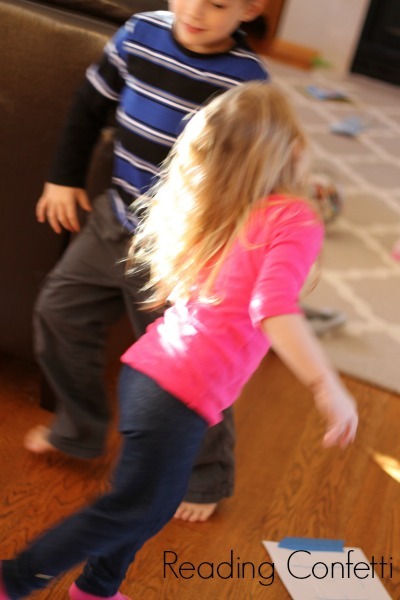 I wanted something active and they like to freeze dance. I couldn't figure out a way to make that work, but it did make me think of the game musical chairs. I wrote letters on pieces of paper and taped them around our dance floor aka the biggest floor space we have in the house. I included letters they know well and letters they don't know so well yet. I turned up the music and they danced until the I stopped the music and called out a letter. Rather than anybody being out because they weren't on the letter (which would make for a pretty quick game considering there's only two of them) they both had to squeeze onto the same piece of paper. They liked it and it was easy for me which I consider a win-win. Super cute! I'm excited to do this with my 3-year-old.